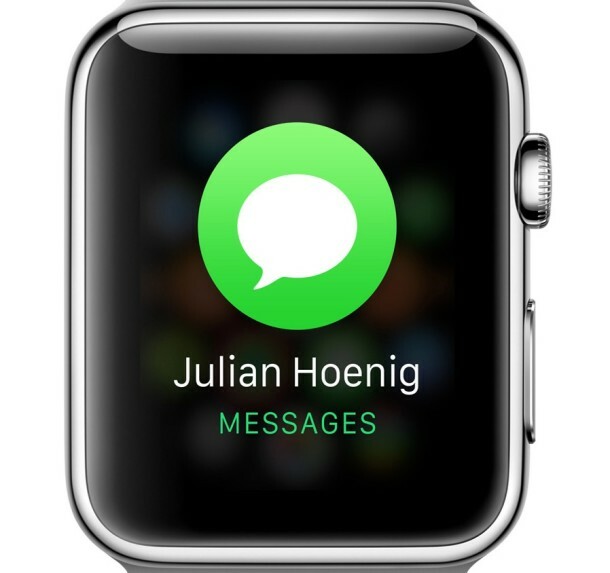 A large part of the utility with Apple Watch is receiving notifications and alerts which can be quickly sorted through, addressed, or dismissed right on your wrist. While you can quickly clear out the notifications, sometimes you just want peace and quiet instead, and the best way to stop the Apple Watch from tapping your wrist and chiming temporarily is to toggle on Do Not Disturb mode for the watch. If the moon icon is filled in with color, the Do Not Disturb feature is enabled, and if the quarter moon icon is not filled in then Do Not Disturb mode is OFF. A little text indicator is also visible under the icon depending on the status of the button. 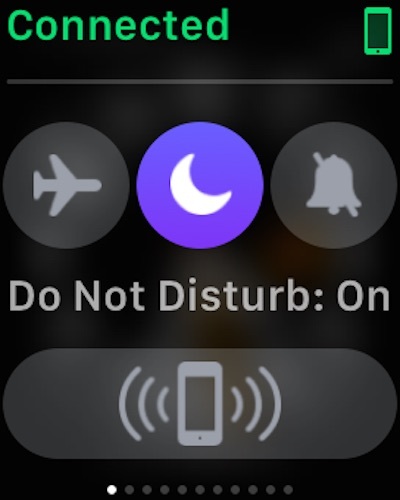 Keep in mind that Do Not Disturb will remain on until you disable it for Apple Watch, which is quickly done through the same Glance options screen. If the moon icon is highlighted, then Do Not Disturb mode is on, if it’s not, then Do Not Disturb mode is off. This behaves much like Do Not Disturb mode on the Mac and the iPhone and iPad, where all notifications, alerts, buzzes, taps, dings, bings, chimes, will be prevented from coming through to the Apple Watch. Do know that if you enable Do Not Disturb on one device, it will impact that device only, so if you want total peace and quiet you’d need to toggle the feature on with every device in the vicinity, whether it’s running OS X, iOS, or WatchOS. I disagree with your comment “Do know that if you enable Do Not Disturb on one device, it will impact that device only, “. I can enable and disable Do not disturb on my Apple Watch and it is reflected on my iPhone. Likewise, toggling it on my iPhone changes the state on the watch. I agree with Jim. Enabling Do Not Disturb on the watch does enable it on the Iphone as well. One of my pet-peeves is that even if I enable “do-not-disturb” within a specific message on my iPhone, I still get the message notifications on my Apple Watch. So if there’s a particularly chatty group thread I can silence it on my phone but not on my wrist even though I have Apple Watch message notifications set up to mirror my phone. Annoying. It effects both phone and watch only it is set to “mirror my phone” in the watch app on the phone under General, Do not disturb. There you can toggle that feature on or off. Idiots!